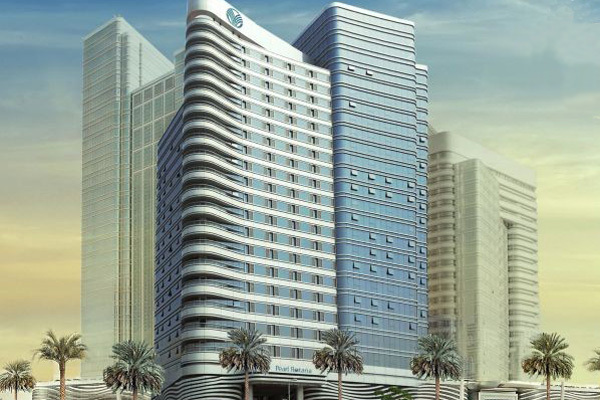 Rotana Hotel Management Corporation has announced the official opening of its new hotel in Abu Dhabi, located in the heart of the Capital Centre business district. The Pearl Rotana Capital Centre features 315 modern and spacious rooms and suites offering scenic views overlooking the stunning Arabian Gulf. Located only a few steps away from the National Exhibition Centre (ADNEC), and 20 minutes from Abu Dhabi‘s international airport, the hotel offers five exclusive dining options, modern and comfortable accommodation and convenient business and leisure facilities. With easy access to Abu Dhabi’s prime business area, the hotel’s extensive meeting and conference facilities are elegantly designed to complement the hotel and come equipped with the latest technology for meetings and presentation. Pearl Rotana’s restaurants bring new food and beverage venues to the Abu Dhabi dining scene, with signature dishes from The Warehouse wine & tapas bar and Dino’s Bistro Italiano. Dino’s Bistro Italiano is a casual Italian eatery that the whole family will enjoy. Its menu takes diners on a journey through the very best of Italian cuisine, including an open pizza station from the wood-fired oven and pasta made fresh on site by the talented culinary team. With a cosy and relaxing ambience, it will be the new hotspot for grabbing a business lunch on weekdays or a family-friendly brunch every Friday and Saturday.